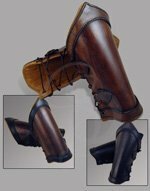 Our Knights Battle Arm Bracers are great for LARP, theater and wearing to the Ren Fair. Arm bracers are a great compliment to your outfit and provide that perfect Medieval look. 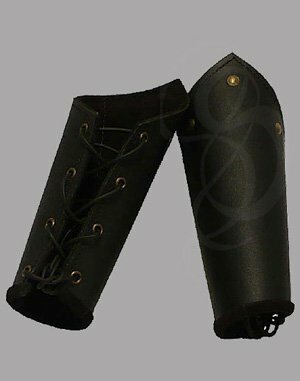 These bracers are made of soft chrome tanned leather and have a suede backing so they are very comfortable to wear. 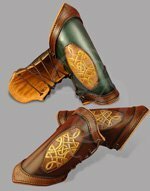 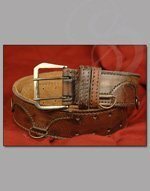 They feature antique brass rivits and grommets, with lace up closure.